From Boston: Take Route 3 South to Route 6 East. Stay on Route 6 all the way until Provincetown. Take the first entrance into Provincetown, marked "East End". From New York: Take 95 North to 195 North to Route 6 East. Stay on Route 6 all the way until Provincetown. Take the first entrance into Provincetown, marked "East End". Simie Maryles Gallery represents traditional art by contemporary artists. 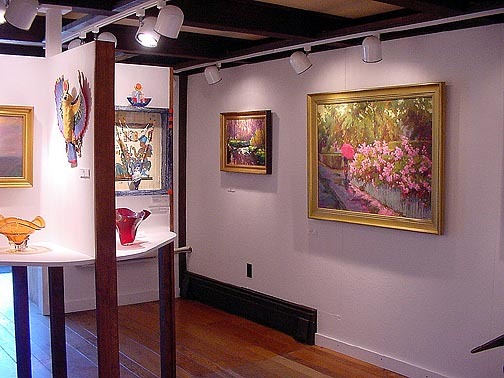 The gallery exhibits art by a small select group of extraorinary artists from across the country, thoughtfully chosen for the compelling quality of their work as well as their respect for excellent craftsmanship. The works include oil paintings, pastels, mixed media and drawings. The artistic styles range from impressionist to painterly realist to classical, as well as humorous and fanciful. 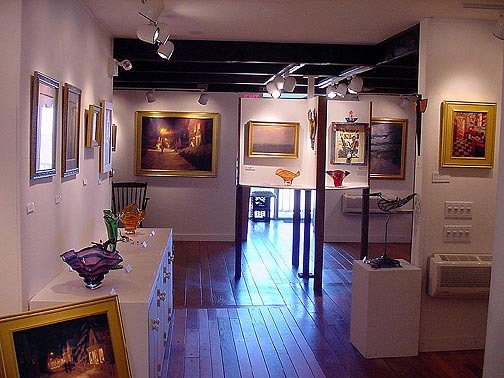 Situated in Provincetown on the tip of Cape Cod, MA, Simie Maryles Gallery is located in the East End of town in the heart of the gallery district in this community long known for its art colony and generally colorful and Bohemian flair. The gallery's owners/directors are painter Simie Maryles and blues musician Moe Van Dereck. 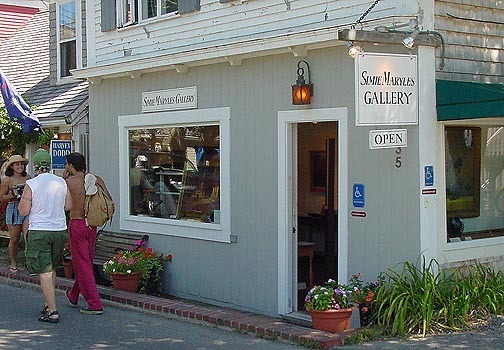 Although Provincetown is well known as a summer resort town, Simie Maryles Gallery is open all year, 10 to 10 daily in summer, gradually mellowing down to weekends all winter, and then lengthening hours again through the spring. 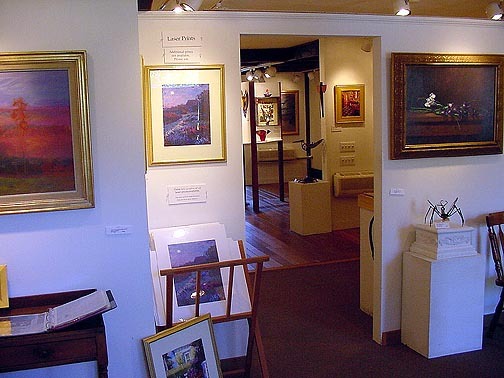 The gallery hosts changing exhibitions every Friday night featuring a different artist, including artist talks about their work and painting demonstrations. In addition to featured shows in the gallery, Simie Maryles Gallery hosts changing exhibits at The Pointe at Crowne Pointe Historic Inn and Spa, 82 Bradford Street, Provincetown. 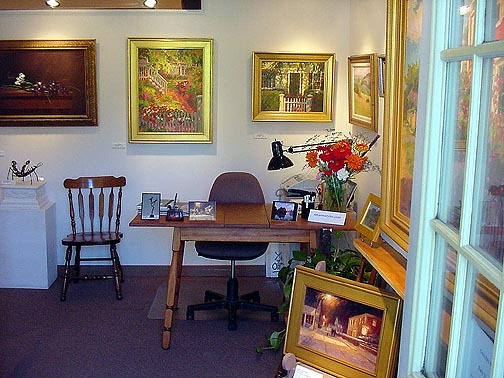 Simie Maryles Gallery is easy to find by car or on foot, and is handicapped accessible.